Mining has been the driving force behind much exploration in Australia’s remote inland and its industrial development – from the gold rush in the nineteenth century, and the iron-ore and nickel booms of the 1960s to the later expansion of the coal industry. Mining comprises about 10% of Australia’s gross domestic product. Currently, the Australian mining industry is on the verge of a new mining boom, based on so-called tech metals. However, Australia's mining sector is awash in red tape, with overlapping legislation and replication between state and federal governments creating significant obstacles to the industry’s development. Mining companies prospecting, investing and pursuing new mining opportunities spend a considerable amount of time and money dealing with government bureaucracy. Cutting the unnecessary red tape on mining, particularly the project approval process, is, therefore, crucial to take the growth and prosperity of Australia’s mining sector forward. 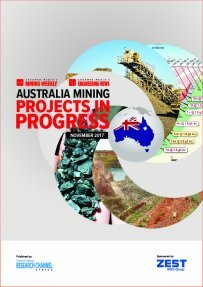 This report draws from material published over the past six months and are summaries of other sources of information published in Mining Weekly and information available in the public domain. Published on: 21 November 2017.